HGV Class 1 Drivers – West Yorkshire – Apply Today! Drivers Plus are looking for HGV Class 1 drivers for work all over West Yorkshire to work with Yorkshire’s leading haulage and logistics companies. 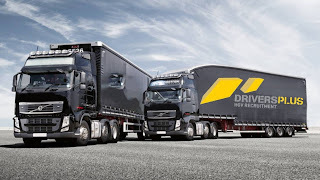 Driving an HGV – Class 1. One day to Full weeks available. Temp to Perm contracts available. Days £12.50, Nights £14.00, Sat Day £14.00, Sat Night £17.50, Sun £19.00.